Successfully Added UHAPPY UP520 Quad Core Phone - Android 5.0, 5 Inch IPS Screen, MTK6582 Quad Core 1.3GHz CPU, 1GB RAM + 8GB ROM, 2 X SIM (White) to your Shopping Cart. 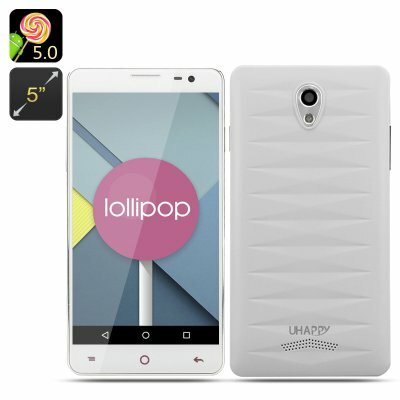 The UHAPPY UP520 has a 5.0 Inch IPS screen a high performing MTK6582 Quad-Core 1.3GHz CPU with 8GB ROM and 1GB RAM, it runs on Android 5.0 and has a 5.0MP front and 8.0MP rear camera. It you’re looking for a sleek and stylish phone with stunning features that won’t cost the earth then look no further, the UP520 is here to help. Recently released by the Chinese phone manufacture UHAPPY this smart phone comes with a high quality MTK6582 Quad-Core 1.3GHz CPU and 1GB of RAM, providing it with plenty of grunt for multi tasking and running demanding applications. It features the stunning Android 5.0 Lollipop operating system, which is becoming hugely popular due to its enhanced caller ID, full screen album and movie art, immersive display and “OK Google” features, to name but a few. All these combine wonderfully to let you enjoy the very best of experiences when interacting with your phone. This phone also offers two SIM card Slots so you can organize your life like never before thanks to Androids advanced features. 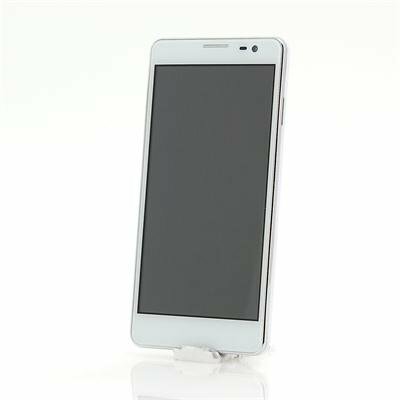 The 5 inch screen displays images with crystal clarity thanks to its 960x540 resolution and with IPS you can view it from just about any angle and still enjoy the sharp picture quality. This will let you review all your images and videos taken from the front or rear facing cameras as well as watching videos or gaming. With Google play pre installed you have access to an ever increasing supply of apps for just about every imaginable occasion so whether you’re looking for gaming fun, the latest news or even business tools there's plenty to pick from. With 8GB of onboard memory and support for SD cards up to 32GB you will have plenty of room for everything you need. Super divide price/performance. The device works very well. It's easy for every day it's good for me and you must buy it for sure!!! Ottimo come telefono, qualità, prezzo, GPS in funzione molto veloce. I recived my mobile phone UHAPPY UP520. I started using it today and am very happy with it. Till know I am satisfied with it. Very good value for money. I bought A Mobile phone Uhappy Up520 and I started using today. There are not bad points till now . The only thing is that I am trying to find an external protective cover for it from chinavasion but till now with out hope . I could not find one.I hope to find.